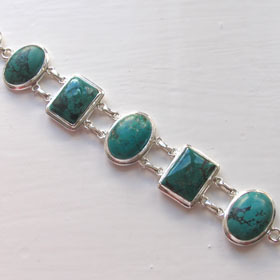 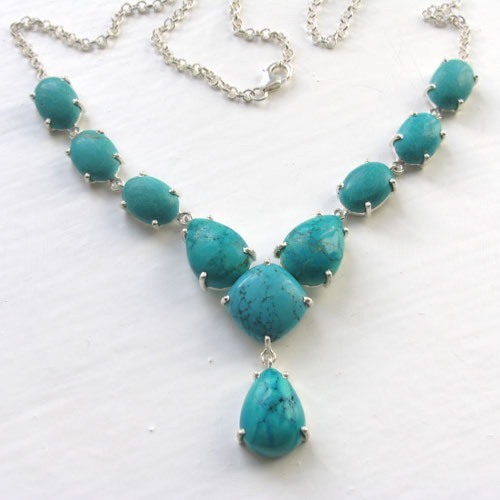 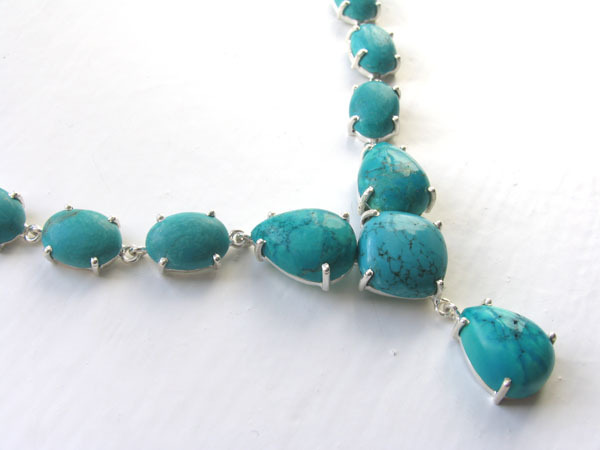 This is a beautiful turquoise necklace combining 10 stunning natural turquoise stones. Each stone is unique and perfectly matched to create this special necklace. 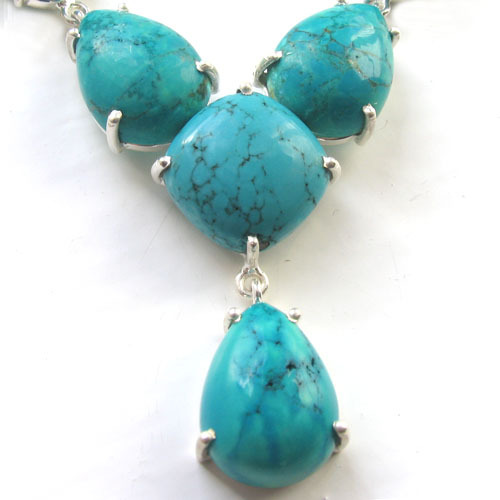 These are large stones and each one is claw set in sterling silver. 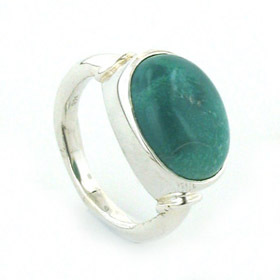 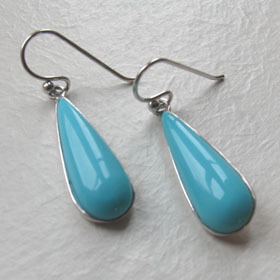 The silver is a highlight not intrusive, allowing the turquoise gemstones to take centre stage. 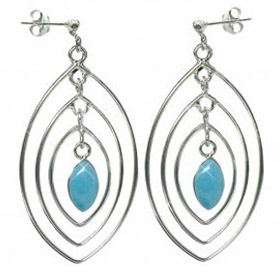 The oval stones are joined by a link allowing movement whereas the central trio are joined together to keep the shape of the design. 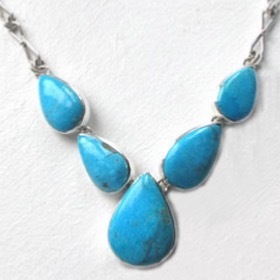 The pear drop pendant is also joined by a link. 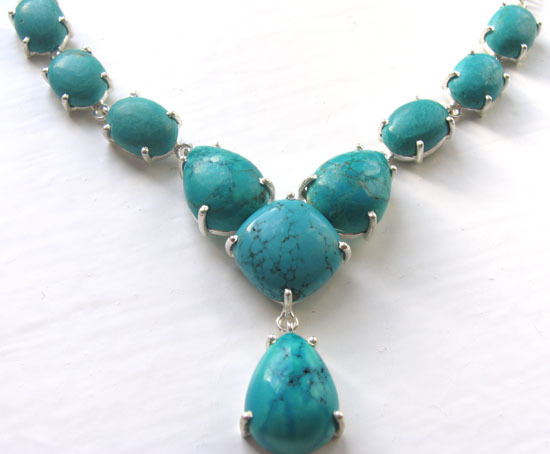 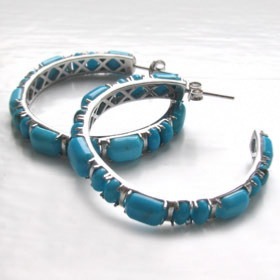 The turquoise colour is rich and vivid. 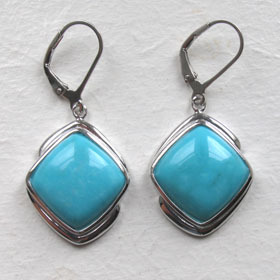 The 3 pear drops have even and wonderfully coloured veining including blue and a hint of amber. 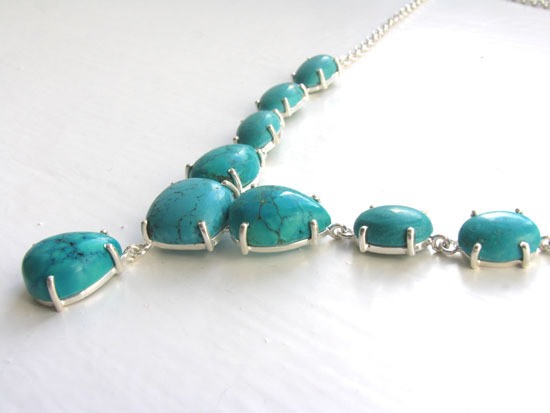 Altogether a fabulous turquoise necklace!